Clashes between the Kokang rebels and Burmese troops have forced civilians to flee. The renewed hostilities between Burmese troops and the Kokang armed rebel group known as the Myanmar National Democratic Alliance Army (MNDAA) have killed more than 130 people since February 9. According to the government, the fatalities included 61 military and police officers, and around 72 rebels. The casualties could be higher since the situation in other remote areas has yet to be determined and clashes are still ongoing after the government rejected calls for a ceasefire in the conflict areas. The last time Kokang was besieged by armed attacks was in 2009 when the army successfully pushed the rebel force out of the region. Many believe that the February 9 offensive in the Laukkai regional capital was an attempt to reclaim the political influence which the rebels lost six years ago. The government responded by deploying troops in the Kokang Self-Administered Zone; and later, declaring a state of emergency and martial law. “Launching offensives against a self-administered zone to oust the mandated Kokang autonomous body is an offence to the sovereignty of the zone. We can’t let this happen. We have no plans to negotiate a ceasefire,” said U Zaw Htay, who is a director in the office of the president. But in an interview with the independent media group Democratic Voices of Burma, rebel spokesman Tun Myat Linn denied that his group is responsible for the chaos and violence that suddenly engulfed the region. “We did not attack the government administration in Laogai. The director of the administration fled on his own initiative. Our troops are quite a distance from the town – we can’t even get close to there,” he said. But pinpointing the culprits who instigated the violence in Kokang should take a backseat for now so that the government can focus its efforts on restoring normalcy in the area and addressing the refugee crisis which has already spilled over in the Myanmar-China border. Estimates vary of the number of civilians forced to flee their homes when the fighting started two weeks ago. 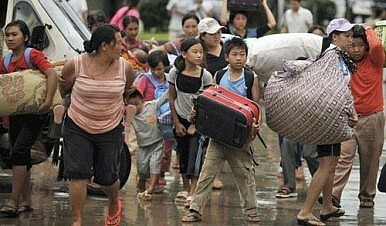 Some reports pegged the number of residents who escaped to China at 30,000. But according to a local Laukkai Township MP, more than 40,000 refugees from Kokang have set up temporary shelters in the Myanmar-China border. Meanwhile, The Myanmar Times was able to interview ethnic Han Chinese refugees who claimed that at least 100,000 people had fled Myanmar to escape the fighting. Perhaps the government should reconsider its earlier position and declare a temporary ceasefire in order to reach the civilians caught in the crossfire and deliver humanitarian relief to thousands of refugees in the border. Peace advocates should also persuade the government to continue to follow the roadmap for peace, especially the signing of political agreements with other ethnic groups in the country.